In the midst of all this school-related frenzy, I’ve been allotting more and more of my time to doing things not school-related. We all need to de-stress, right? First and foremost, the things that have been stressing me out lately: school’s started again, the robotics season started, and the college application process isn’t over yet. The winter break was nice, but I was so focused on finishing up my apps that I didn’t have nearly as much time to relax as I would have liked. Now that I’m back in school, the work is piling up again, and robotics means a 17-hour-per-week time commitment. Crazy stuff. It’s not like I don’t have time, though. I have enough time between getting home and going to sleep that I’ve been spending a good portion of it drawing. I don’t think I’ve drawn anything seriously in years, but it’s been wonderful to get back into it again. I’m really rusty, but that’s alright; what matters is that I’m rediscovering what a great outlet art is. I’ve also been spending obscene amounts of time teaching myself how to play the ukulele! I’m a total noob righ now, but I think I’ll continue to improve if I keep practicing. The uke is so different from, say, a cello (which I also play) in that it’s tiny and pretty easy to learn. Being able to play and sing like an idiot is honestly one of the most relaxing things I’ve ever done. Lastly, I’ve been working on a visual novel with my little sister (boffinart.tumblr.com). For those who don’t know what a visual novel is, it’s basically a cross between a choose-your-own-adventure book (do those still exist?) and a video game: it tells a story in a format similar to that of a novel, and the players get to make decisions that influence the direction and ending of the story. To get an idea of what they’re like, try out the demo for Dragon Essence or Area-X by Zeiva Inc., or play the free visual novel, RE: Alistair ++, by Sakevisual. These examples are mostly for girls, but google “visual novel” and you’re bound to find options to suit everyone. 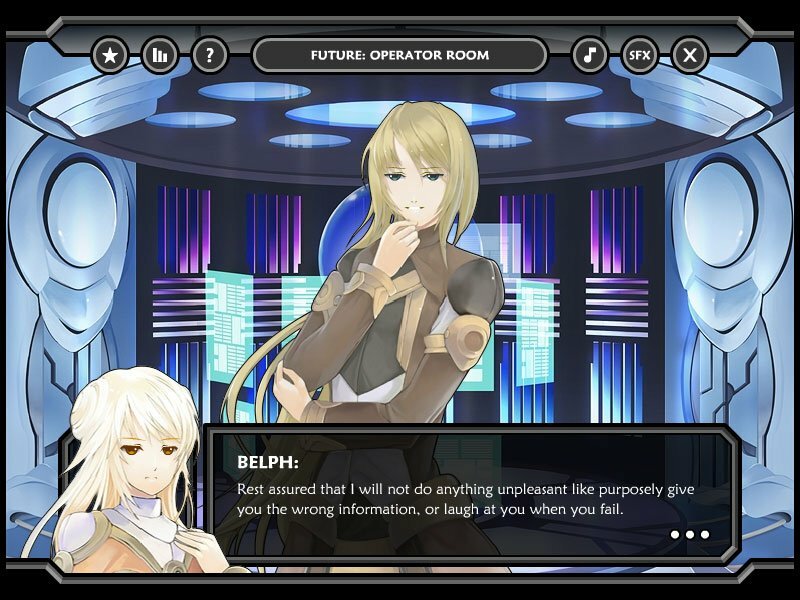 Here’s a screenshot from one of my favorite Visual Novels, Area-X.